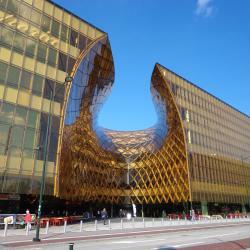 Looking for hotels near Malmo Arena? Located within a few minutes’ walk of Malmö Arena and Hyllie Train Station, Quality Hotel View offers accommodations in Malmö. Located right next to Malmö Arena, this Best Western hotel features city views from its Sky Bar lounge. Hyllie Train Station is just a 4-minute walk away. WiFi is free. 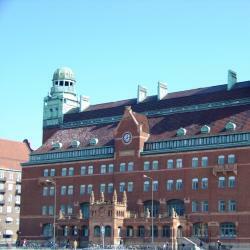 This hotel is located 1.9 mi from Malmö Exhibition & Conference Center. Rooms are modern with hardwood floors, flat-screen TVs and free WiFi access. Swedbank Stadium is 1969 feet away. Opened in 2012, this modern apartment is located in the Norra Sofielund district of Malmö. It offers free WiFi and a fully equipped kitchen. Triangeln Train Station is 0.6 mi away. Located in Malmö just 164 feet from the sea side, this marine themed hotel offers guest rooms with décor inspired by historic and contemporary ships and boats. Featuring a 25th-floor sky bar overlooking the city, Clarion Hotel & Congress Malmö Live is 984 feet from Malmö Central Station. Facilities include a concert hall, restaurant, sauna and fitness... The room was very clean with a very confortable bed and good facilities. 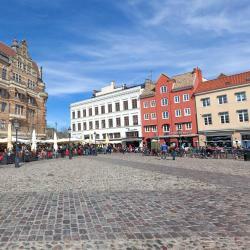 This quiet design hotel is 328 feet from Malmö Central Station and Lilla Torg Square. Each room includes a flat-screen TV, free WiFi as well as tea and coffee facilities. Everything .. magnificent decor, helpful and very friendly staff with modern facilities . In an elegant 19th-century building, this hotel is next to Gustav Adolf Square and just under half a mile from Malmö Central Station. Wi-Fi, gym and sauna access are free. It was nice to get to the room and find a mat, bowls and treats for our dog. Located by the Malmö Canal, Scandic Malmö City offers free Wi-Fi and spacious rooms with a private kitchenette with a fridge and microwave. 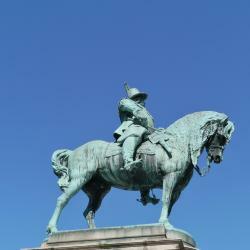 Gustav Adolf Torg is a 3-minute walk from the hotel. Nice clean, modern hotel. Staff was very attentive. Excellent breakfast.